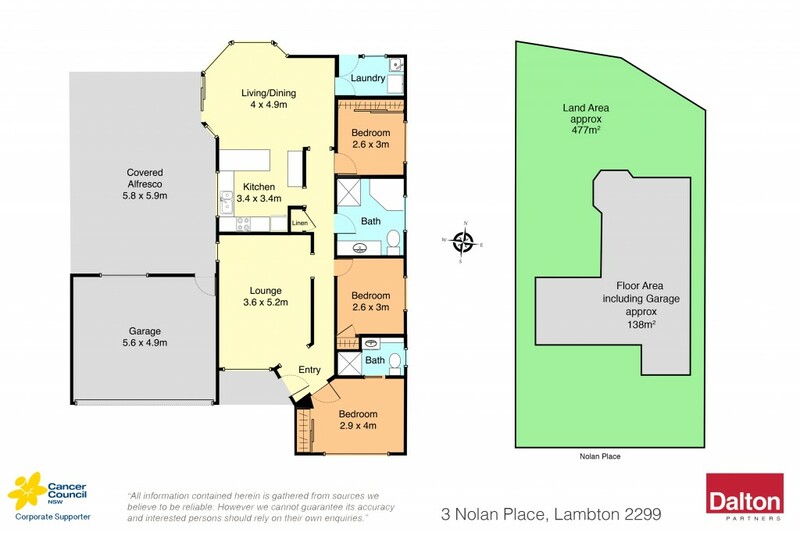 Delivering instant appeal for young families, investors or downsizers, this well-proportioned address offers a quality introduction to Lambton's sought-after lifestyle. Its single-level design is enhanced by an open-concept living zone, formal lounge room and large-scale alfresco entertaining area creating versatile family spaces and a relaxed vibe. Three bedrooms, beautifully established garden surrounds and a single garage add further appeal, as does the homes central location close to schools, transport and Lambton's busy shopping village and cafes. - Great family home privately positioned on a whisper-quiet cul de sac. - Attractive kitchen extends into open-plan living/dining domain. - A fabulous paved alfresco entertaining area with pitched roofline. - A formal lounge room provides additional floorplan versatility. - Three peacefully positioned bedrooms with robes, ensuite to master. - Split-system a/c; large family bathroom; lovely garden surrounds. - Secure single garage with internal entry and extra driveway parking. - 1.2km to the cafes, shops and pubs that define Lambton Village.